The Liberty 1-1/4 in. Dark Oil-Rubbed Bronze Knob is made from die cast zinc with a beautiful dark finish that will compliment any decor. The knob features a handsome design with a 1-1/4 in. diameter and included installation hardware. The Alysse knob features organic floral petals that will be sure to brighten and add charm to traditional cabinetry or furniture. These knobs are crafted from die-cast zinc for long lasting quality and durability. Installation hardware is included for your convenience. 1-1/4 in. Logan Knob The Liberty 1-1/4 in. 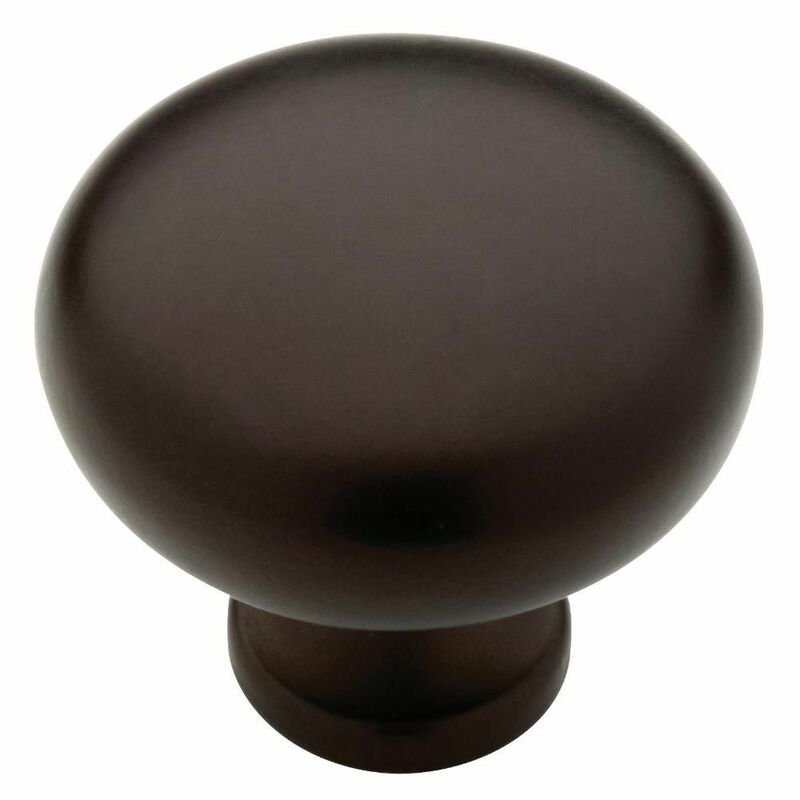 Dark Oil-Rubbed Bronze Knob is made from die cast zinc with a beautiful dark finish that will compliment any decor. The knob features a handsome design with a 1-1/4 in. diameter and included installation hardware. 1-1/4 in. Logan Knob is rated 4.7 out of 5 by 16. Rated 5 out of 5 by Brad from Exactly what I wanted.... Exactly what I wanted. Rated 2 out of 5 by HomeDepotCustomer from Nice knob, but paint finish is not "oil rubbed bronze". Does not match previously purchased Liber... Nice knob, but paint finish is not "oil rubbed bronze". Does not match previously purchased Liberty Logan oil rubbed bronze knobs. Disappointing, since I just had the same experience with the painted finish on Liberty cabinet hinges. Will be returning. Rated 4 out of 5 by Karen from Pleased with appearance and heft.... Pleased with appearance and heft. Rated 5 out of 5 by Steve from Excellent interior door or closet knob. Appealing bronze finish. Excellent interior door or closet knob. Appealing bronze finish. Rated 5 out of 5 by desklady from Wanting to change the appearance of a cabinet, I purchased these knobs. They looked exactly like ... Wanting to change the appearance of a cabinet, I purchased these knobs. They looked exactly like the online picture and are of a good quality. Have had for a couple weeks now and am very satisfied! Rated 5 out of 5 by PoolGuy from This knob came with both long and short hardware. Product is as described, was easy to install, ... This knob came with both long and short hardware. Product is as described, was easy to install, and looks good.